Ferris wheel at Navy Pier. 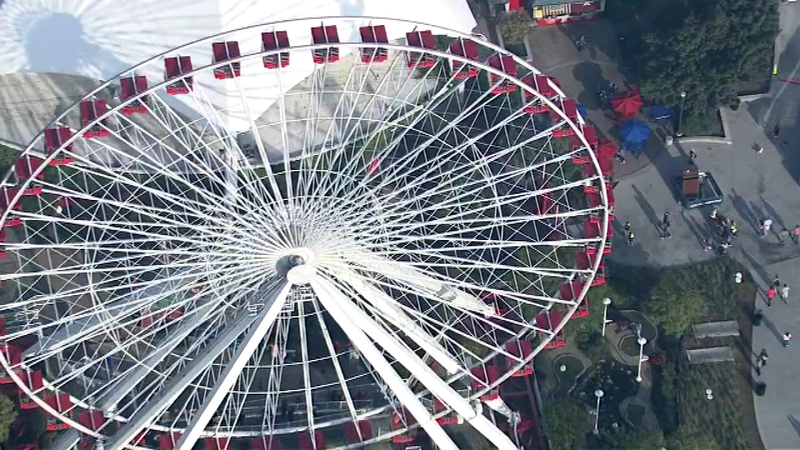 CHICAGO (WLS) -- This weekend is the last opportunity to ride the Ferris wheel at Navy Pier this year. The wheel shuts down on Sunday. One final spin is free between 10 p.m. Saturday and 9:45 a.m. Sunday. The wheel will then be torn down and eventually replaced by a new, larger one.